to the workers who will manufacture it. communicate information by graphical means. conventions, material conventions and lettering. Introduction, Definitions - Planes of projection, reference line and conventions employed, Projections of points in all the four quadrants, Projections of straight lines (located in First quadrant/first angle only), True and apparent lengths, True and apparent inclinations to reference planes (No application problems). Introduction, Definitions–projections of plane surfaces–triangle, square, rectangle, rhombus, pentagon, hexagon and circle, planes in different positions by change of position method only (No problems on punched plates and composite plates). Introduction, Definitions – Projections of right regular tetrahedron, hexahedron (cube), prisms, pyramids, cylinders and cones in different positions (No problems on octahedrons and combination solid). Development of lateral surfaces of above solids, their frustums and truncations. (No problems on lateral surfaces of trays, tetrahedrons, spheres and transition pieces). Introduction, Isometric scale, Isometric projection of simple plane figures, Isometric projection of tetrahedron, hexahedron(cube), right regular prisms, pyramids, cylinders, cones, spheres, cut spheres and combination of solids (Maximum of three solids). 1. Students will be able to demonstrate the usage of CAD software. Sections of solids and Isometric views of solids. practical problems related to engineering drawing. 1. Module -1 is only for practice and Internal Assessment and not for examination. mixing of questions from different Modules). 4. Each batch must consist of a minimum of 10 students and a maximum of 12 students. 5. Examination can be conducted in parallel batches, if necessary. 5. Examination can be conducted in parallel batches, if necessary. 1) Engineering Drawing - N.D. Bhatt & V.M. Panchal, 48th edition, 2005- Charotar Publishing House, Gujarat. 2) "Computer Aided Engineering Drawing" by Dr C N Chandrappa, Dr B Sudheer Premkumar Dr. M H Annaiah, Fifth edition, New Age International Publishers. 1) Computer Aided Engineering Drawing - S. Trymbaka Murthy, - I.K. International Publishing House Pvt. Ltd., New Delhi, 3rd revised edition- 2006. 2) Engineering Graphics - K.R. Gopalakrishna, 32nd edition, 2005- Subash Publishers Bangalore. 3) Fundamentals of Engineering Drawing with an Introduction to Interactive Computer Graphics for Design and Production- Luzadder Warren J., Duff John M., Eastern Economy Edition, 2005- Prentice-Hall of India Pvt. Ltd., New Delhi. 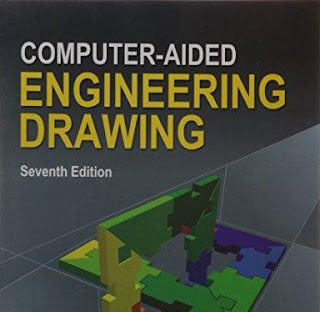 4) A Primer on Computer Aided Engineering Drawing-2006, Published by VTU, Belgaum.